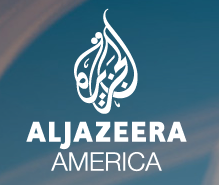 Al Jazeera America is countersuing former Current TV owners, former US vice-president Al Gore and co-founder Joel Hyatt, rejecting claims that it withheld funds relating to its buyout of the network. In August, Gore and Hyatt filed a lawsuit accusing Al Jazeera of fraud and breach of contract, alleging that the Qatari company has withheld US$65 million (€48 million) owed to them from Al Jazeera’s purchase of the US news network. The money is currently being held in an ‘escrow’ account. Rejecting the claims, Al Jazeera America accused Gore and Hyatt of making misrepresentations relating to the Current TV acquisition and said that it is now seeking compensation from the escrow fund. “Vice-President Gore, Joel Hyatt and their associates have already received hundreds of millions from the sale of Current TV. The remainder of the sales price is held in escrow, and Al Jazeera America is entitled to be indemnified from that money for claims arising from Gore and Hyatt’s management of Current,” said Andrew Deutsch, a partner at DLA Piper, representing Al Jazeera America.